BOB MILLER RETIRES: Also includes selected photographs from Bob Miller’s final games. LOS ANGELES — On April 10, the Los Angeles Kings relieved President/General Manager Dean Lombardi and head coach Darryl Sutter of their duties, replacing Lombardi with Rob Blake, who was named as Vice President/General Manager and by promoting Luc Robitaille to President, overseeing both business and hockey operations. 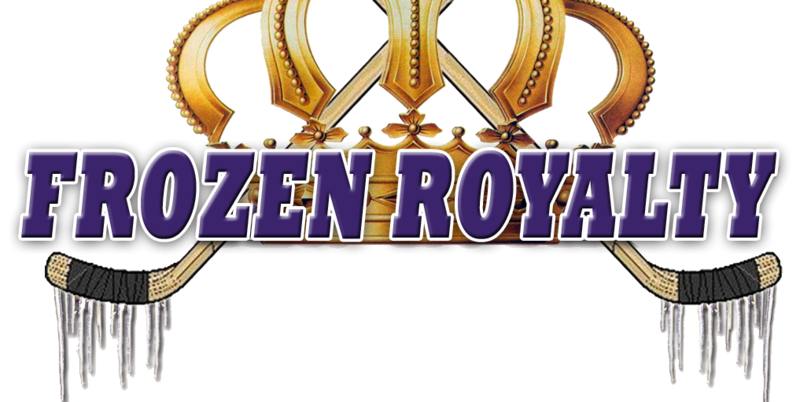 Despite the fact that this should be the big story, Frozen Royalty will wait to publish analysis of the front office shake up until after the Kings press conference on Tuesday. After all, there is one more story about their legendary, now-former Voice of the Kings, Bob Miller, who retired on April 9 after his final two broadcasts over the weekend. That begs the question: Why am I only getting around to writing about Miller now? As virtually every fan of the Kings will relate to, this past weekend was a very difficult one for me. To be sure, on top of the normal things I do in my life, with Miller calling the final two games of his career before skating off into retirement after 44 years behind the microphone, it has been very, very difficult for me to wrap my head around the story you’re about to read, which should have been done after Saturday’s 3-2 overtime victory over the Chicago Blackhawks at Staples Center, Miller’s final home game broadcast. But what did I do instead of transcribe interviews and write? I ended up watching a replay of the game just so I could hear Miller’s call. Talk about shirking one’s duties. Under normal circumstances, any journalist worth his or her salt would ignore the circumstances, avoid the distractions, buckle down and get to work. But these were not normal circumstances, so I hope you’ll indulge me for a few moments. Miller began his Hall of Fame career in 1973. Coincidentally, that same year, a ten-year-old boy who was playing roller hockey (long before the days of inline skates) in a Culver City, California schoolyard, watched his first ice hockey game on KHJ-TV 9 here in the Los Angeles area. The man behind the microphone was National Hockey League rookie broadcaster Bob Miller, who, along with his first color commentator, the late Dan Avey, entertained me, but more important, began the process of teaching me the game and quickly got me hooked on hockey. Indeed, I’ve been following the Kings and the NHL since Miller’s first season, a 44-year long “relationship.” So when I say that this past weekend was a difficult one for me, now you know why. After the win on Saturday over the Blackhawks, Miller walked into the media room at Staples Center, which had the most people in it after a Kings regular season game than ever before. Not long after he walked in, Miller was surrounded by reporters and was asked about the storybook ending. Miller expressed surprise when asked about the exterior banners, decorations and wall that fans could sign and write messages on to honor him. The player who is closest to Miller and knows how important Miller is to the Kings organization and history better than any of his teammates is Dustin Brown, who talked about his thoughts when he first heard the news about Miller’s impending retirement. For Brown and his teammates, they’ll miss Miller, but in a different way. The personal touch is what Miller’s friends who were also colleagues always talk about first. Marotta pointed out that Miller gave him his big opportunity as a sports broadcaster. Marotta noted that Miller wasn’t going out of his way to help him. Rather, it was just how Miller was, and still is. Nickson worked as Miller’s color commentator on the Kings’ simulcast—television and radio—for nine seasons before the Kings separated the broadcasts. Former Kings and Los Angeles Lakers public relations director Mike Hope is one of Miller’s best friends. Hope recalled that from the beginning, Miller’s focus was the Kings. Hope indicated that Miller set an example of integrity and professionalism from the very beginning. As so many have said about Miller, he set an example within the Kings organization for others to follow and emulate. Something that virtually everyone who knows Miller off the ice talks about are his jokes and stories. Marotta was the victim of more than one of Miller’s pranks. While many have expressed concern about Miller and his health, and have congratulated him and wished him well on his retirement, at the same time, many are very concerned about who will replace him in the broadcast booth. Concern about who Miller’s replacement will be is understandable. But his close friends are looking at his retirement from a very different perspective. “We are so fortunate that he wasn’t paralyzed [after suffering a stroke], that he wasn’t dead, and that he would have a chance to go on living in a way that a normal, functioning person would,” said Hope. Indeed, Miller’s health is what’s most important. Demers noted that Miller isn’t leaving, never to return or be seen again. He’s just retiring. Nine photos ©2017 Gann Matsuda/FrozenRoyalty.net. All rights reserved. Click on any photo below to view larger image and to click through the gallery. Fans were able to write a congratulatory note to Bob Miller prior to the final home game of his career. This cake was waiting for Bob Miller when he arrived in the Chick Hearn Media Room at Staples Center after his final home game. Lapel pin honoring Bob Miller and his legendary 44-year career. Following his final home game broadcast, Bob Miller met with the local media horde. Bob Miller leaves the broadcast booth at Honda Center in Anaheim after the final broadcast of his career. LEAD PHOTO: Los Angeles Kings Hall of Fame play-by-play announcer Bob Miller (center), shown here with his family after the final home game of his 44-year career on April 8, 2017 at Staples Center in Los Angeles. Photo: Shelly Castellano/SCPIX. Gann, your excused from not writing this article sooner. Do you know what Mr. Miller future plans are? I hope he writes more books. His former books had me cracking up. I pray that he writes more! He’s just going to enjoy life with his wife and family. I don’t think a book is in his immediate plans.